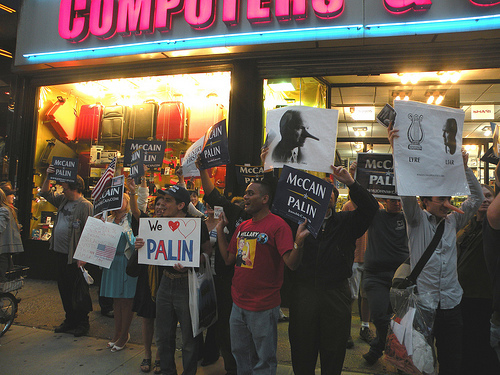 McCain Manhattan and Leftist Pinnochios meet up out side David Letterman Show | the "silent" majority no more! 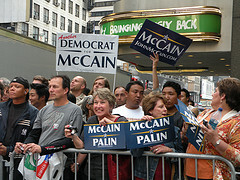 More McCain Supporters and Democrats for McCain all hit the streets of Manhattan on October 16th while Senator McCain was inside the Ed Sullivan Theatre appearing on the David Letterman Show. The Leftard Pinnochios predictably staged their obnoxious ‘Lies-Street-Theatre’ to cover up the Truth about Obama, William Ayers and ACORN.